Last year I was out of town when the sign up sheets for the preschool Halloween party was set out. 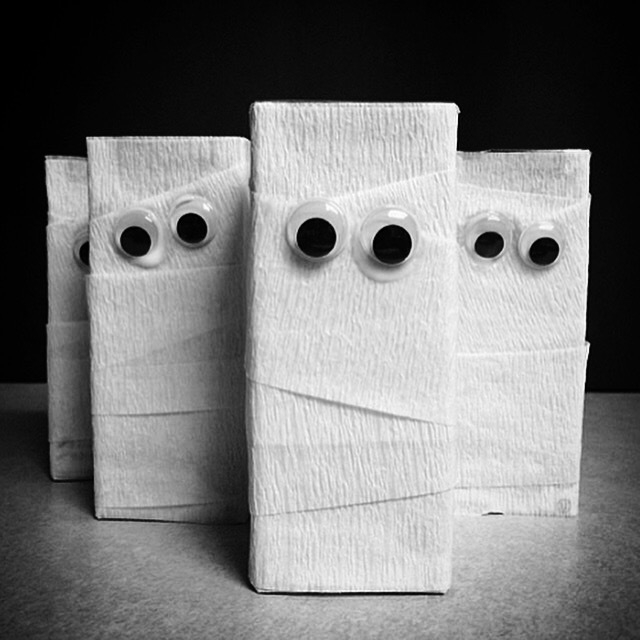 I was hoping to snag the juice boxes because I wanted to make the very easy, but still pretty dang cute Mummy Juice Boxes that I made last year. Sadly, by the time I saw the sign up, the only slots left were for table cloths and 'other snack'. I grabbed the other slot and made a snack that turned out even easier than the mummy juice boxes. 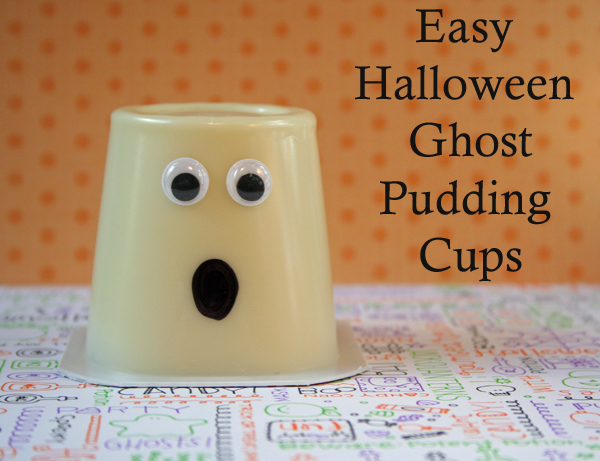 Halloween Ghost Pudding Cups. 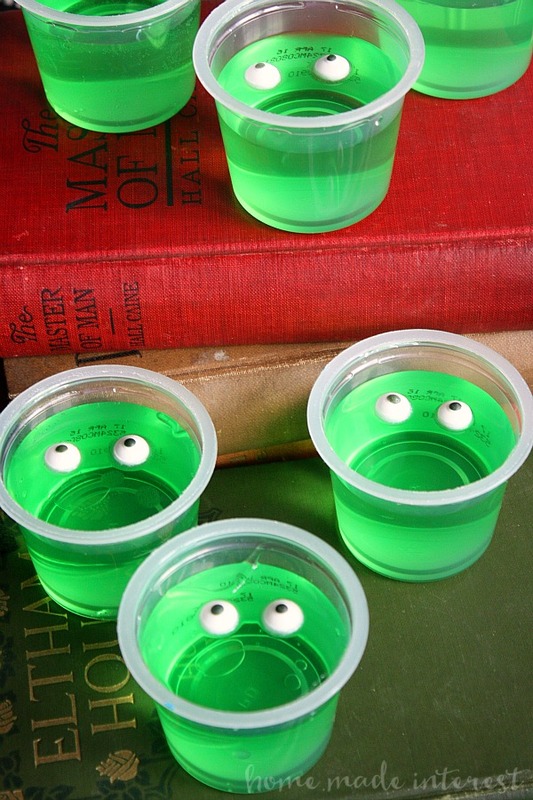 I actually went to the store with the intention of buying green lemon lime Jello cups to make something similar to these Frankenstein Jello cups from Craft Penguin, but they didn't have any left at my store. If they had, I probably would have ended up making Jello blob monsters instead like these from Home. Made. Interest. But alas, no green Jello cups meant cute little ghost pudding cups. 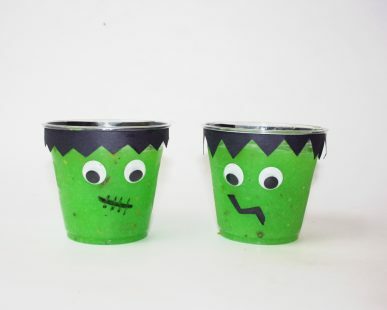 A black permanent marker, googley eyes, and a little glue is all you need to transform your vanilla pudding cups into cute Halloween treats.